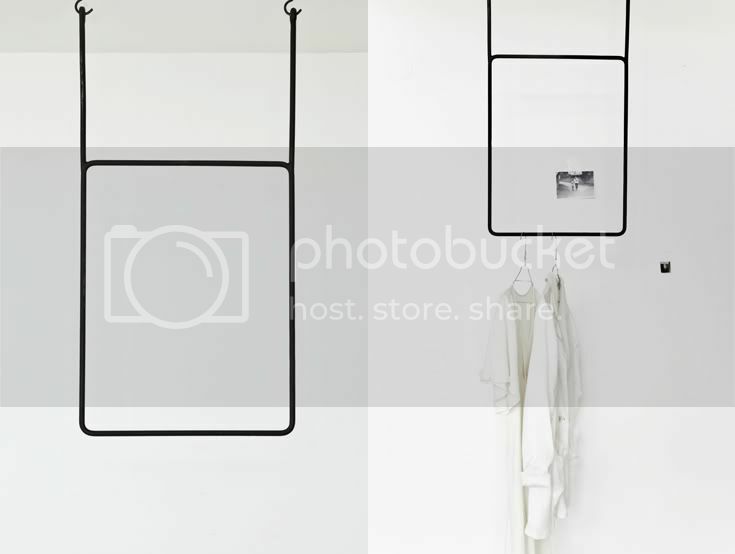 These geometrical clothing racks are designed by the talented interior blogger and stylist Annaleena. She opened her own online shop where she sells her designs only a few days ago. Congratulations to her! 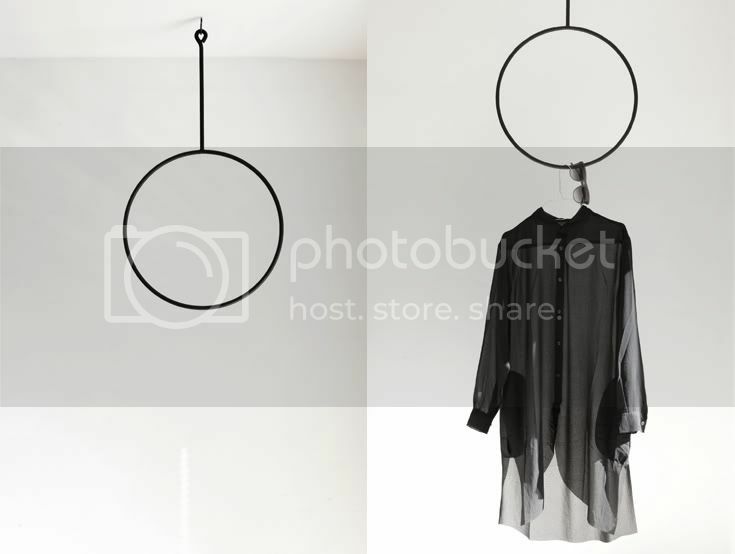 Can you see yourself come home and toss your jacket through the black iron ring hanging from the ceiling? Could you help me? I have no idea how and with what should I wear a shirt like this on the first (well, second) picture... I have one (very similar) but I don't feel confident in it. That's a lovely sheer shirt! How about wearing it with a pair of black highwaisted trousers (high enough to cover your navel) and instead of a strapless bra, which can sometimes be uncomfortable and make you selfconcious try a sports bra with a nice racer back :) + high sandals and killer metal jewelry and you're done! I want one, too! This one is so much better than any boring closet. I would love to have something like this. It's so simple, yet amazing! Hell yes, I do! They're great! The first is better than the second ! I love these. So simple but so cool. this is the best thing I´ve ever seen! These would be ideal in a minimalistic store. Living with less, but only the best. Ooh, I would love these if I had my own place. Very clean and minimal. Those are amazing. Even tough I'm really a girly girl, I love your minimalistic style. It's really inspiring. want the rectangular one so bad! Very cool, looks great with a sheer outfit like you have used! Since she just opened this business, it would've been wiser to start off prices practically, for the wider audience. Wider audience, more business, more public interest. It is rare for an unknown label, with prices as luxury items, to be successful in the long run. And to expect success to come from that would be quite foolish. such a creative way to hang/display your clothes! So simply great idea! luv that! wauw geweldig ! zou ik zo in huis halen..